Shop owner Alice Chapman (Alicia Witt) is nervous to meet her future in-laws at Christmas, especially because she is arriving ahead of her new fiancé, Will Mitchum (Scott Gibson). Alice’s trip becomes more stressful when her luggage is lost and her phone is damaged, leaving her no way to find Will’s family! As fate would have it, she meets her future brother-in-law, Matt Mitchum (Mark Wiebe), at baggage claim and is happy to get a ride home with him. As Alice meets Matt’s doting family, mom Penny (Susan Hogan), dad Joe (Richard Fitzpatrick) and Grandpa Charles (Lawrence Dane), she falls in love with their festive holiday traditions and warm welcome to their home. 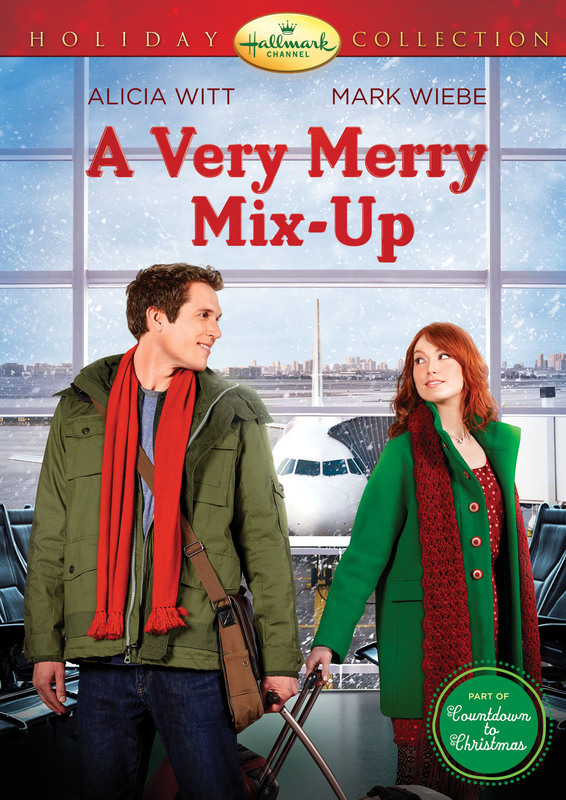 And when unexpected romance comes calling as Christmas approaches, Alice must decide if her “Merry Mix-Up” will actually turn out to be her destiny.